Some new guidelines to be aware of are the AHA Guidelines for the Management of Heart Failure. Full text is available free and while comprehensively covering chronic heart failure there is an interesting section on acute decompensated heart failure. Evidence-based medicine enthusiasts might be interested in recommendations to consider dopamine, nesiritide, and ultrafiltration. These therapies also get a mention in the 2012 European Guidelines. I recommend you review the articles cited in the guidelines to make your own mind up. Interesting new drug to know about: Serelaxin, recombinant human relaxin-2. It’s hard to assess the clinical significance of the statistically significant findings. Let’s see if a benefit is replicated in future studies. It’s hard to imagine a normotensive patient that can’t be fixed with existing therapies though. Serelaxin, recombinant human relaxin-2, for treatment of acute heart failure (RELAX-AHF): a randomised, placebo-controlled trial. BACKGROUND: Serelaxin, recombinant human relaxin-2, is a vasoactive peptide hormone with many biological and haemodynamic effects. In a pilot study, serelaxin was safe and well tolerated with positive clinical outcome signals in patients with acute heart failure. The RELAX-AHF trial tested the hypothesis that serelaxin-treated patients would have greater dyspnoea relief compared with patients treated with standard care and placebo. METHODS: RELAX-AHF was an international, double-blind, placebo-controlled trial, enrolling patients admitted to hospital for acute heart failure who were randomly assigned (1:1) via a central randomisation scheme blocked by study centre to standard care plus 48-h intravenous infusions of placebo or serelaxin (30 μg/kg per day) within 16 h from presentation. All patients had dyspnoea, congestion on chest radiograph, increased brain natriuretic peptide (BNP) or N-terminal prohormone of BNP, mild-to-moderate renal insufficiency, and systolic blood pressure greater than 125 mm Hg. Patients, personnel administering study drug, and those undertaking study-related assessments were masked to treatment assignment. The primary endpoints evaluating dyspnoea improvement were change from baseline in the visual analogue scale area under the curve (VAS AUC) to day 5 and the proportion of patients with moderate or marked dyspnoea improvement measured by Likert scale during the first 24 h, both analysed by intention to treat. This trial is registered at ClinicalTrials.gov, NCT00520806. FINDINGS: 1161 patients were randomly assigned to serelaxin (n=581) or placebo (n=580). Serelaxin improved the VAS AUC primary dyspnoea endpoint (448 mm × h, 95% CI 120-775; p=0·007) compared with placebo, but had no significant effect on the other primary endpoint (Likert scale; placebo, 150 patients [26%]; serelaxin, 156 [27%]; p=0·70). No significant effects were recorded for the secondary endpoints of cardiovascular death or readmission to hospital for heart failure or renal failure (placebo, 75 events [60-day Kaplan-Meier estimate, 13·0%]; serelaxin, 76 events [13·2%]; hazard ratio [HR] 1·02 [0·74-1·41], p=0·89] or days alive out of the hospital up to day 60 (placebo, 47·7 [SD 12·1] days; serelaxin, 48·3 [11·6]; p=0·37). Serelaxin treatment was associated with significant reductions of other prespecified additional endpoints, including fewer deaths at day 180 (placebo, 65 deaths; serelaxin, 42; HR 0·63, 95% CI 0·42-0·93; p=0·019). Despite intravenous nitrate boluses being used in original studies demonstrating benefit in acute heart failure1,2, I regularly meet reluctance from both physicians and nurses in the emergency department to give them. Their resistance seems to be based on a concern for inducing hypotension, and they prefer to ‘titrate up’ an infusion. iv nitrate options include nitroglycerin (GTN), and isosorbide dinitrate (ISDN). Studies have used ISDN 4mg every 4 mins, ISDN 3mg every 5 mins, and GTN 2mg every 3 mins3. There are a number of reasons to avoid starting with a low rate infusion in a sick heart failure patient. If a GTN infusion is commenced at a rate of 1 ml/h, a critically unwell patient with a large cannula—for example, a grey cannula (16G) — will have to wait over 6 min for the drug to enter the body. This compares with 1.5 min for a pink cannula (20G) at the same infusion rate. If a large-diameter cannula is chosen for these patients, then a fast initial infusion rate should also be chosen to ensure that the GTN begins to act quickly. (1) mechanical slack within an infusion device may mean an infusion set at 1 ml/h will take many minutes for the driver to contact and advance the syringe plunger. For this reason, infusions should be purged before patient connection. (2) the pharmacokinetics of the drug should be considered. At low infusion rates it will take significant time for a steady state to be achieved (a drug such as GTN, with a half-life of 2 min, would require 10 min to achieve steady state). For clinical effects to be seen quickly, a bolus should be given before commencing infusions. (3) the use of 1 ml/h infusions (8 µg/min using a 0.5% solution) may be excessively cautious – the British National Formulary recommends a therapeutic dose range from 10 to 200 µg/min. Furthermore, there is emerging evidence that, when used for decompensated heart failure, higher doses of GTN are associated with more favourable outcomes. (4) at low infusion rates any obstruction in the intravenous system will take a proportionally longer time to become apparent, as it will take longer for the pressure to build up and trigger the syringe pump’s high pressure alarm..
Now a recent study confirms such a regimen can be used safely in the elderly. ISDN 3mg bolus treatment was not associated with higher rates of hypotension in the elderly population treated for heart failure in the emergency department. Despite a small study and a retrospective design, this lends support to the practice of iv bolus nitrate therapy for acute heart failure, even in the elderly. Dobutamine for severe heart failure – more harm than good? A systematic review and meta-analysis of randomised controlled trials showed dobutamine is not associated with improved mortality in heart failure patients and in the case of severe heart failure there is some suggestion of increased mortality, although this did not reach statistical significance. It should be noted that the results of this study are in accord with large observational studies that have also suggested harm associated with use of dobutamine in patients with severe heart failure. Taken together, this evidence should cause clinicians to reconsider their use of dobutamine in patients with heart failure, particularly those most at risk of the adverse effects, those with underlying ischaemic heart disease. PURPOSE: Dobutamine is recommended for patients with severe heart failure; however uncertainty exists as to its effect on mortality. This study aims to critically review the literature to evaluate whether dobutamine, compared with placebo or standard care, is associated with lower mortality and a range of secondary outcomes, in patients with severe heart failure. METHODS: A systematic review and meta-analysis of randomised controlled trials was performed. PubMed, EMBASE, the Cochrane Central Trials Registry, the metaRegister of Controlled Trials and bibliographies of retrieved articles were searched. Randomised trials comparing dobutamine with placebo or standard care, in human, adult patients with severe heart failure, were included if they reported at least one outcome of interest. Data regarding trial validity, methodological processes and clinical outcomes were extracted, and a meta-analysis was performed. RESULTS: Fourteen studies, with 673 participants, met the inclusion criteria and were included; 13 studies reported mortality. There was minimal heterogeneity (I (2) = 4.5%). The estimate of the odds ratio for mortality for patients with severe heart failure treated with dobutamine compared with standard care or placebo was 1.47 (95% confidence interval 0.98-2.21, p = 0.06). CONCLUSIONS: This meta-analysis showed that dobutamine is not associated with improved mortality in patients with heart failure, and there is a suggestion of increased mortality associated with its use, although this did not reach the conventional level of statistical significance. Further research to define the role of dobutamine in treatment of severe heart failure should be a priority. The physician-staffed mobile intensive care units of SAMU (Service d’Aide Médicale Urgente) in France provided the location for this randomised controlled trial of CPAP for acute cardiogenic pulmonary oedema. 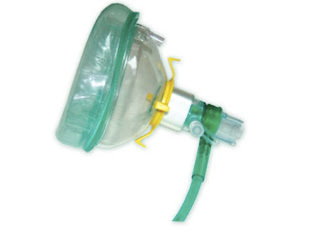 STUDY OBJECTIVE: The purpose of this randomized controlled trial was to determine the immediate and delayed effects of noninvasive ventilation for patients in acute cardiogenic pulmonary edema (ACPE) in addition to aggressive usual care in a medical prehospital setting. METHODS: Out-of-hospital patients in severe ACPE were eligible for the study. Patients were randomized to receive either usual care, including conventional optimal treatment with furosemide, oxygen, and high-dose boluses of isosorbide dinitrate plus oxygen, or conventional medications plus out-of-hospital continuous positive airway pressure (CPAP). The primary outcome was the treatment success defined as all of respiratory rate less than 25 breaths per minute and oxygen saturation of greater than 90% at the end of 1-hour study. Secondary end points included death during 30 days after inclusion. Lengths of intensive care unit and hospital stays were also recorded. RESULTS: In total, 124 patients were enrolled into the study. The 2 groups had similar baseline characteristics. For the primary outcome analysis, 22 (35.5%) of 62 patients were considered as experiencing a treatment success in the usual care group vs 19 (31.7%) of 60 in the CPAP group (P = .65). Seven patients died within 30 days in the usual care group vs 6 in the CPAP group (P = .52). There were no statistically significant differences between the treatment groups for length of stay either in hospital or in the intensive care unit. CONCLUSION: In the prehospital setting, in spite of its potential advantages for patients in ACPE, CPAP may not be preferred to a strict optimal intravenous treatment. BACKGROUND: Loop diuretics are an essential component of therapy for patients with acute decompensated heart failure, but there are few prospective data to guide their use. METHODS: In a prospective, double-blind, randomized trial, we assigned 308 patients with acute decompensated heart failure to receive furosemide administered intravenously by means of either a bolus every 12 hours or continuous infusion and at either a low dose (equivalent to the patient’s previous oral dose) or a high dose (2.5 times the previous oral dose). The protocol allowed specified dose adjustments after 48 hours. The coprimary end points were patients’ global assessment of symptoms, quantified as the area under the curve (AUC) of the score on a visual-analogue scale over the course of 72 hours, and the change in the serum creatinine level from baseline to 72 hours. RESULTS: In the comparison of bolus with continuous infusion, there was no significant difference in patients’ global assessment of symptoms (mean AUC, 4236±1440 and 4373±1404, respectively; P=0.47) or in the mean change in the creatinine level (0.05±0.3 mg per deciliter [4.4±26.5 μmol per liter] and 0.07±0.3 mg per deciliter [6.2±26.5 μmol per liter], respectively; P=0.45). In the comparison of the high-dose strategy with the low-dose strategy, there was a nonsignificant trend toward greater improvement in patients’ global assessment of symptoms in the high-dose group (mean AUC, 4430±1401 vs. 4171±1436; P=0.06). There was no significant difference between these groups in the mean change in the creatinine level (0.08±0.3 mg per deciliter [7.1±26.5 μmol per liter] with the high-dose strategy and 0.04±0.3 mg per deciliter [3.5±26.5 μmol per liter] with the low-dose strategy, P=0.21). The high-dose strategy was associated with greater diuresis and more favorable outcomes in some secondary measures but also with transient worsening of renal function. CONCLUSIONS: Among patients with acute decompensated heart failure, there were no significant differences in patients’ global assessment of symptoms or in the change in renal function when diuretic therapy was administered by bolus as compared with continuous infusion or at a high dose as compared with a low dose. (Funded by the National Heart, Lung, and Blood Institute; ClinicalTrials.gov number, NCT00577135.). A few years ago in the Emergency Department I managed a sick hypotensive, hypoxic 20-something year old with a unilateral lung white-out and air bronchograms as pneumonia/septic shock. He died subsequently of refractory pulmonary oedema on the ICU, where the diagnosis of acute pulmonary oedema due to severe aortic stenosis was delayed. Post mortem findings showed pulmonary oedema but no pneumonia. A kind radiologist told me the chest x-ray would certainly have fitted with pneumonia. After this case I learned to echo sick hypotensive patients in the ED. Circulation reports 869 cardiogenic pulmonary oedema patients, of which 2.1% had unilateral pulmonary oedema (UPE). In patients with UPE, blood pressure was significantly lower (P<=0.01), whereas noninvasive or invasive ventilation and catecholamines were used more frequently (P=0.0004 and P<0.0001, respectively). The prevalence of severe mitral regurgitation in patients with bilateral pulmonary edema and UPE was 6% and 100%, respectively (P<0.0001). In patients with UPE, use of antibiotic therapy and delay in treatment were significantly higher (P<0.0001 and P=0.003, respectively). In-hospital mortality was 9%: 39% for UPE versus 8% for bilateral pulmonary edema (odds ratio, 6.9; 95% confidence interval, 2.6 to 18; P<0.001). In multivariate analysis, unilateral location of pulmonary edema was independently related to death. Thoracic electrical bioimpedance (TEB) was used in ED patients presenting with dyspnoea to differentiate between cardiac and non-cardiac causes. The fundamental principle behind TEB is based on Ohm’s law. If a constant electrical current is applied to the thorax, changes in impedance (ΔZ) to flow are equal to changes in voltage drop across the circuit. As a current will always seek the path of lowest resistivity, which in the human body is blood, ΔZ of the thorax will primarily reflect the dynamic changes of blood volume in the thoracic aorta. Changes in thoracic electrical impedance are continuously recorded and processed using a computer algorithm to calculate a number of cardiohaemodynamic parameters such as stroke volume, CO, CI, SVR and systemic vascular resistance index (SVRi). A cardiac index cut-off of 3.2 l/m/m2 had a 86.7% sensitive (95% CI 59.5% to 98.0%) and 88.9% specific (95% CI 73.9% to 96.8%) for cardiac dyspnoea in the 52 patients studies, of which 15 had cardiac-related dyspnoea. The study has several limitations including small numbers and using the gold standard of discharge diagnosis. Three diagnostic tests for acute left ventricular heart failure in dyspnoeic patients were compared, with the gold standard being the diagnosis by three independent reviewers (two cardiologists and one respiratory physician) who were blinded to the results of the tests being examined. The tests in question were NT-proBNP, the Boston criteria, and limited echo performed by emergency physicians. The primary goal of the echo study was the detection of the following echocardiographic variables, expressed as present or absent: reduced LV ejection fraction (LV ejection fraction <50% on subjective visual estimation of the change in LV size between diastole and systole) and the ‘‘restrictive’’ pattern on pulsed Doppler analysis of mitral inflow (using the apical view). According to the authors, pulsed Doppler analysis of mitral inflow can be described by three patterns: 1) an ‘‘impaired relaxation’’ pattern, suggesting no increase in LV filling pressures; 2) a ‘‘normal’’ or ‘‘normalized’’ pattern; and 3) a restrictive pattern, suggesting an increase in LV filling pressures. Trained emergency physicians were able to perform EDecho in a median of 4 minutes, obtaining Doppler data in an average of 80% of patients presenting for acute dyspnea. Considering the 125 patients with both EDecho variables available, reduced LV ejection fraction was less accurate than the restrictive mitral pattern for the diagnosis of aLVHF. The restrictive pattern was more sensitive (82%) and specific (90%) than reduced LV ejection fraction and more specific than the Boston criteria and NT-proBNP for the diagnosis of aLVHF. The accuracy of the restrictive pattern in the overall population was 75%, compared with accuracy of 49% for both NT-proBNP and Boston criteria. Diagnostic accuracy of emergency Doppler echocardiography for identification of acute left ventricular heart failure in patients with acute dyspnea: comparison with Boston criteria and N-terminal prohormone brain natriuretic peptide.